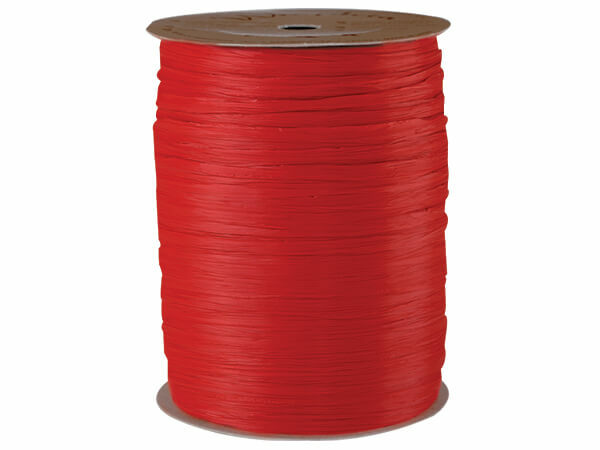 Raffia Ribbon or Wraphia Ribbon is synthetic and packaged on 100 and 500 yard rolls. Raffia without the mess! It's so simple to use and looks great on any package. Ribbon string is twisted at 1/4" width and can be pulled apart to 1-1/4" width. Made in China.